Your toons always make me laugh!!! This one is especially funny. And a donut dispensing barbell. The standing position allows for a nice straight digestive tract causing much faster food flow to the stomach. The best part? I hardly ever spill ketchup on my gut! I have a lying down desk. It’s much more restful. 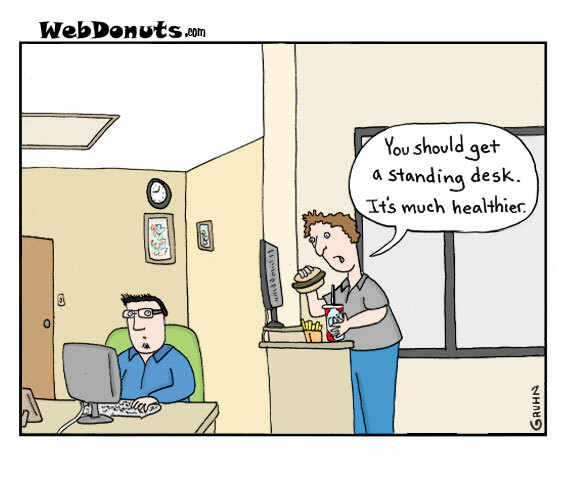 Rolling desks are even healthier and solar powered ones help save the environment.